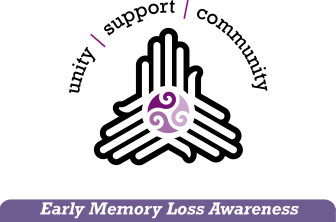 Every 67 seconds someone develops Alzheimer’s disease and my husband Gary is one of them. We haven’t even begun to see the tip of the iceberg of what havoc and impact this disease will have on the growing number of “us” Baby Boomers, for those diagnosed, their care partners and families. The emotional, mental, physical and financial impact can be a living nightmare and I know firsthand that we are not alone. Living with any type of dementia is a unique type of loss. It is very isolating. It is an ambiguous loss and each day has no closure. However, there are ways to find support, to cope and live successfully. Gary was diagnosed with Alzheimer’s in December of 2012 at age 63. I can look back as far as 8 years and realize that I was noticing the subtle and elusive signs and clues back then, but we thought it was all due to stress and going through an extraordinary amount of loss and change. Gary lost 2 jobs in 2 years and as a result we moved 4 times in 3 ½ years, are no longer home owners, have gone through half of our retirement savings and continue to do so. Our youngest son was tragically killed by a hit and run driver in March of 2011. By the time we started connecting all the dots that led to his diagnosis, our relationship had deteriorated to the verge of collapse. Soon after Gary’s diagnosis, I was fortunate enough to hear of a support program at the Alzheimer’s Association starting in May. We jumped at the chance to get support. (Actually I jumped and took Gary along, he has always been more introverted and was really too shocked and ashamed to ask for help.) Our involvement with the Alzheimer’s Association has become a lifeline for both of us and has brought us back together as a couple. We both strongly believe that we have no idea what would have happened had we not reached out for help. Please join us to help empower people to reach out for early diagnosis and support so they can learn new ways to improve the quality of their lives. We know that there are many people across our nation that are suffering without really understanding what is happening to them and their families. Gary and I are passionate about bringing purpose and meaning to what is happening in our lives by sharing our story and our experiences in order to help others who are impacted by Alzheimer's disease and other forms of dementia including brain trauma.